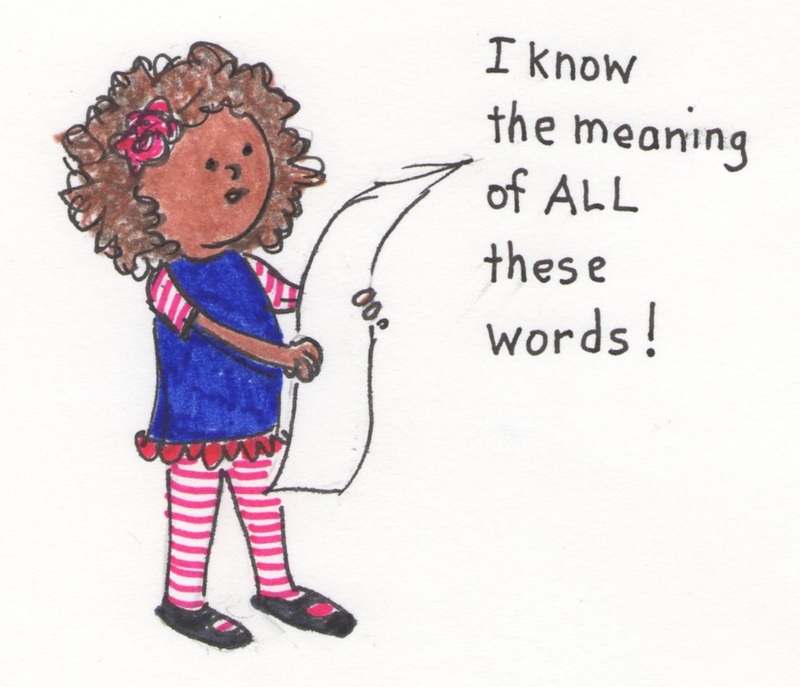 Is a child’s vocabulary destiny? Three-year-old children from professional families already have bigger English vocabularies than parents in low -income families. Children from professional families hear 300 more spoken English words in an hour than children of parents on welfare. By the time children are four-years-old, children of professional parents will have heard 32 million more words than children from poor families. What does this research by Betty Hart and Todd R. Risley (1980’s and 1990’s) mean? Combined with more recent research that shows that vocabulary acquisition is the single greatest predictor of reading success, it means that children of professional parents are far ahead of children from low income families as they start preschool. Other studies show that as a child moves through school, this vocabulary gap increases, directly correlating to a child’s achievement in reading comprehension. So what can you do with your preschooler, primary grade child, or ESL learnerto increase his vocabulary? Quite a bit. Use “big” words when you talk to your child. Provide a rich vocabulary for your child to hear. “Baby” words are no easier to learn than adult words, so use adult vocabulary with your child. For example, when I was a child, my father used to come home from work and ask us children, “Is everything copacetic?” Of course, we didn’t know what he meant, but he explained, and within a short time we were asking one another the same thing. Choose new words that sound somewhat similar to words the child already knows. For example, a child knows what a computer is, but “compute” would probably be a new word. Make the connection to how the computer can add up numbers quickly to help the child remember what compute means. Encourage your child to ask you what a word means. Don’t laugh at him because he doesn’t know. We all learn by asking questions, so questioning is a great skill to help your child to develop. Repeat new words often until the child understands. One or two times is not usually enough. Try six or ten uses of the word in a few days to cement the word into the child’s memory. Read, read, read to children to expose them to new words. 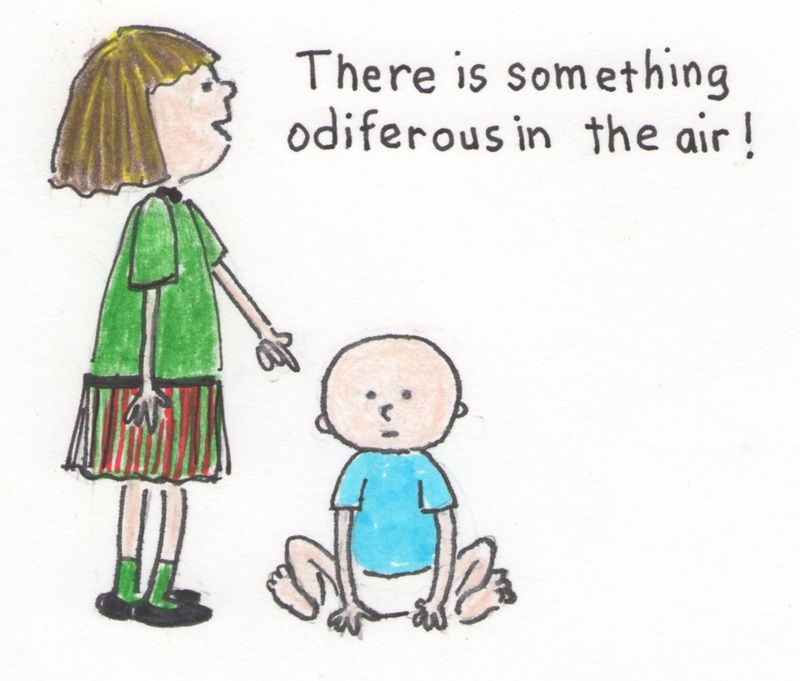 Nursery rhymes contain old-fashioned words the child might not know. Emails from Grandma might too. Read from a variety of genres, but pick topics of interest to the child, so she will pay attention. Choose books that stretch the child’s vocabulary with new words in context, but not too many. Read the same book to a child several times, helping the child to conquer the words in context. If there are many new words, don’t discuss each one. Pick a few so the child focuses on enjoying the book. Set yourself a goal of a word a day for a preschooler. Keep a list on the refrigerator to remind you to use past words again to help with retention. Let the child see the list growing. As we measure the height of our children, they feel pride. As we measure their learning, they will bask in that success, too. How about you? Have you come up with any ideas to help improve your child’s vocabulary? Share your ideas by commenting on this blog. This entry was posted in English as a second language (ESL), methods of teaching reading, reading comprehension, reading readiness., reading research, vocabulary. Bookmark the permalink.